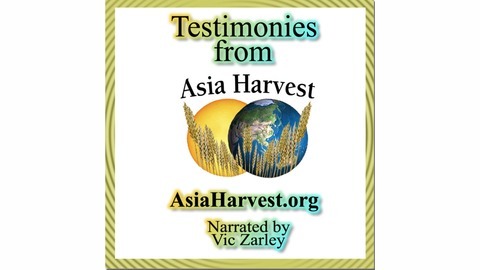 Special thanks to Paul Hattaway of AsiaHarvest.org for permission to share these special stories which indicate the power and authority of our almighty God. 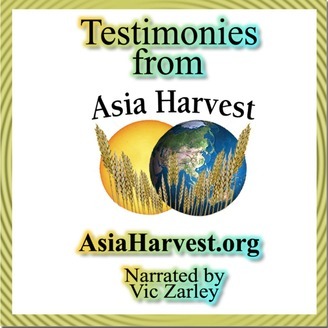 This quote is from the site: "AsiaHarvest is an inter-denominational Christian ministry working in various countries throughout Asia to see effective churches planted among unreached people groups. We work alongside Asian church leaders, helping and equipping them to focus on reaching the lost. Our main focus is China, Vietnam, Laos, Myanmar (Burma), Nepal, Bhutan and northern India. Within these seven countries are approximately 1000 unreached tribes and ethnic groups. "Over the years we have seen and been told some remarkable accounts of how God has supernaturally moved among people groups in Asia. We would like to share some of these stories with you, exactly how they have been told to us. We have made every effort possible to verify these events from different sources, and feel confident that the posted testimonies are true." Produced and narrated by Vic Zarley. Theme song "Oriental Dreams" by Ka eN.